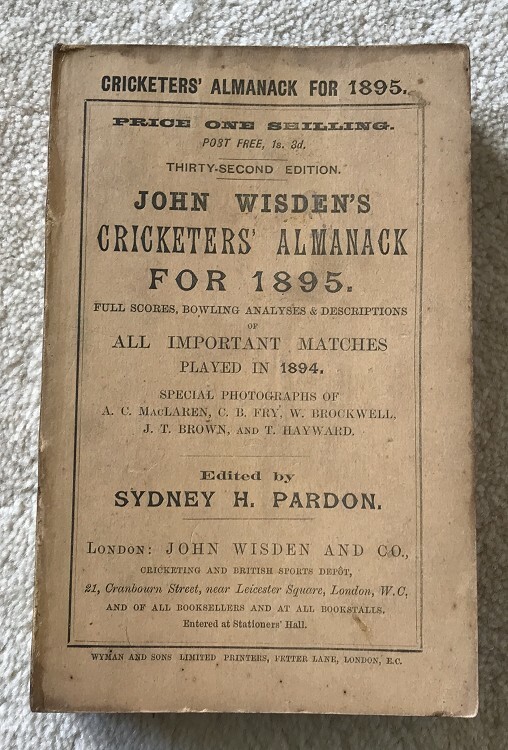 This lot is an Original 1895 Wisden Paperback with facsimile spine. This is in Very Good condition. The covers are nice and tall with minimal marks. A nice new spine with text has been added , it is neat and tidy but not an exact copy of an original Wisden. Internally excellent there is an aura to some of the pages and the odd spot to the page block with an excellent photoplate.